The 'Combo' option will send an SMS to all recipients with a mobile number and an email to recipients that have an email address but no mobile number. Before following the steps below to send a 'Combo' message (combination of SMS and email) you must firstly select recipients and a mode of communication. Once you have completed these steps and chosen Combo as your mode of communication, proceed on to the instructions below. 1. Click on Combo on the 'Confirm Recipients' screen. The 'Compose Message' screen will open. 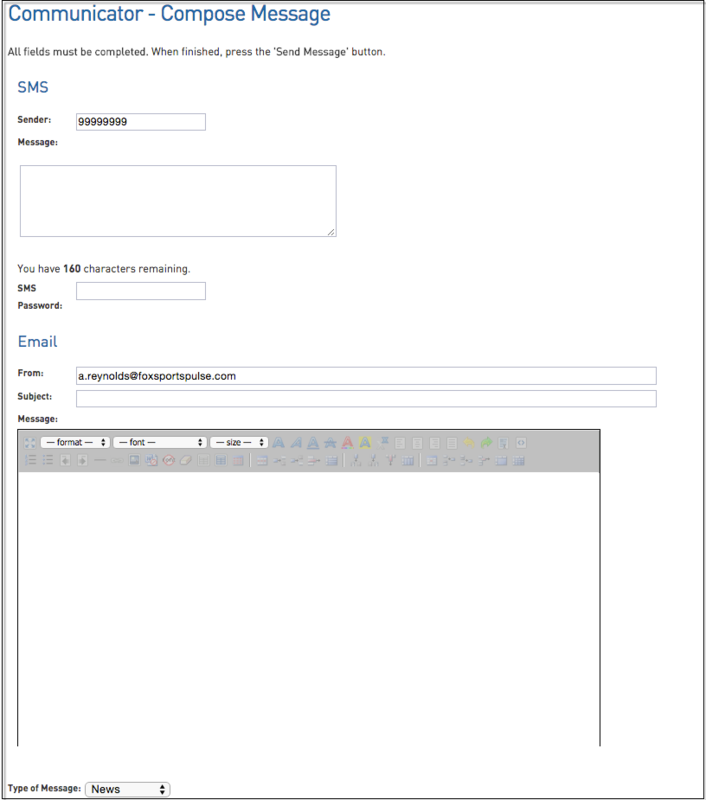 This screen allows you to compose both an SMS and an email. Message:Type the message to be sent to recipients. There is a 140 character limit for SMS messages. As you type, the 'counter' below the message field will show the number of characters you have remaining. From: If a default 'Reply To address' has been added to the Communicator Profile Settings it will automatically be populated in the 'From' field. This email address can be edited if needed. If you have not set up a default email address in the Profile Settings, enter the desired email address into this field. Any replies will be sent to this email address. 6. A verification message will appear. Click on OK.
7. A message will appear confirming that the email/ SMS messages have been sent and the number of recipients they have been sent to.